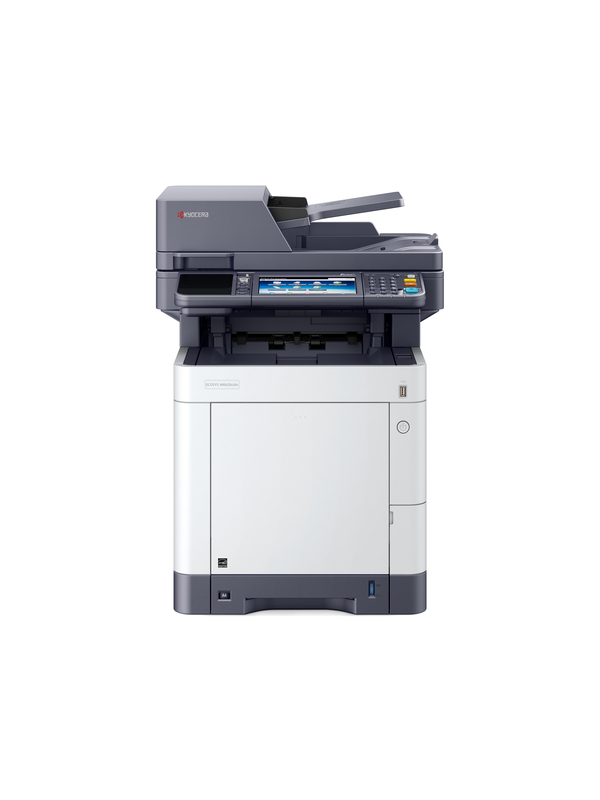 The Kyocera ECOSYS M6635cidn, Color A4 (up to 8.5” x 14”) MFP from RYAN, combines impressive performance, at speeds up to 37 ppm, with advanced features, all in a compact footprint. This Print, Copy, Scan and Fax solution is designed for ease-of-use with a 7” color touch screen interface (TSI) and includes business driving features, such as a 100 Sheet Dual Scan Document Processor, the capability of running HyPAS Business Applications, On-The-Go secure mobile Print/Scan and much, much more! The ECOSYS M6635cidn, with exceptional business quality color output and low TCO, allows workgroups of all sizes to affordably drive productivity and take your business to the next level.